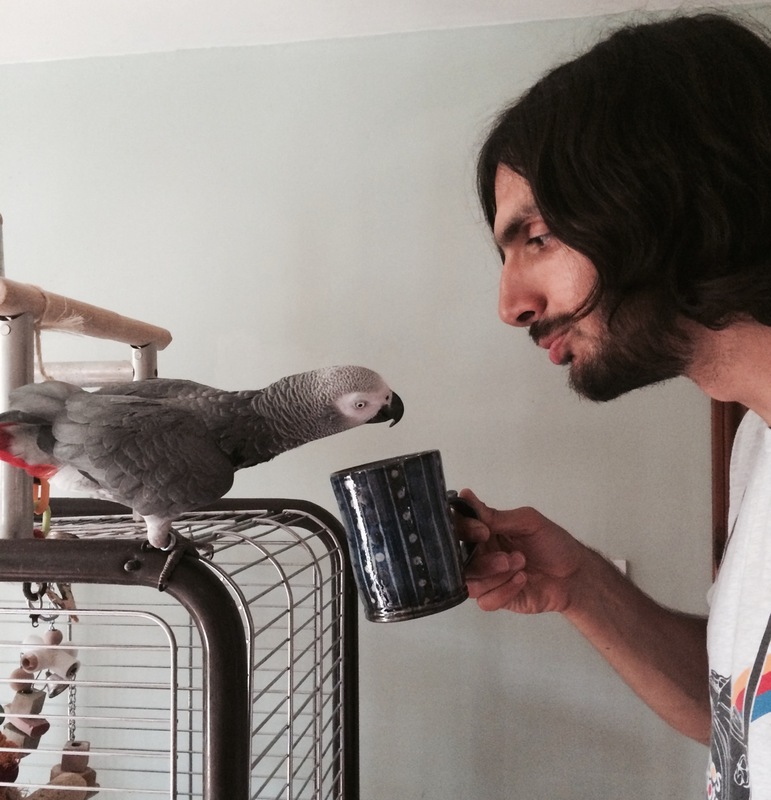 On Saturday, Sayed and I moved out of our little flat in Walthamstow. We’re sad to say goodbye to the area, our fantastic neighbours and friends and the daily life we’d settled into. Nevertheless, it’s time to move on. So, I spent most of last week scratching my head staring into boxes, then forgetting what was inside as soon as they were taped shut. Now, after a sweaty day packing and unpacking the van (kindly driven by Sayed’s cousin John!) 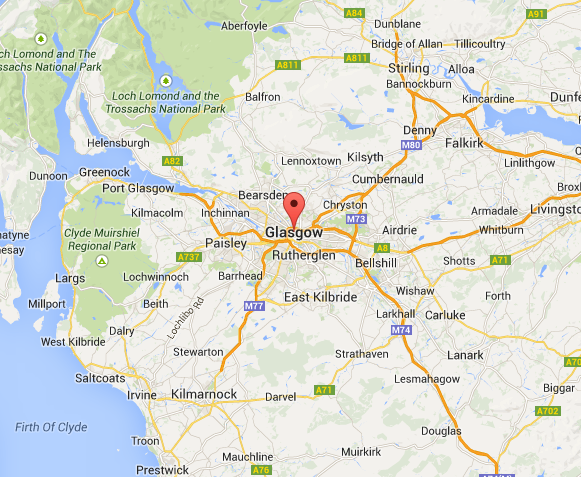 I’m back at my parents’ home getting ready for the next stage – Glasgow! 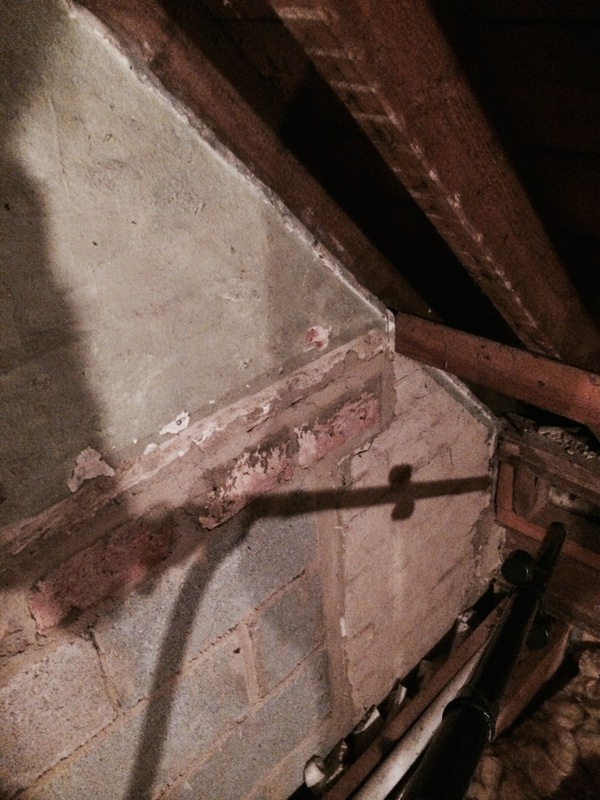 On Monday, my moving zeal extended to hoovering the bat droppings out of my parents’ attic. Needless to say, I’ve calmed down a bit now. 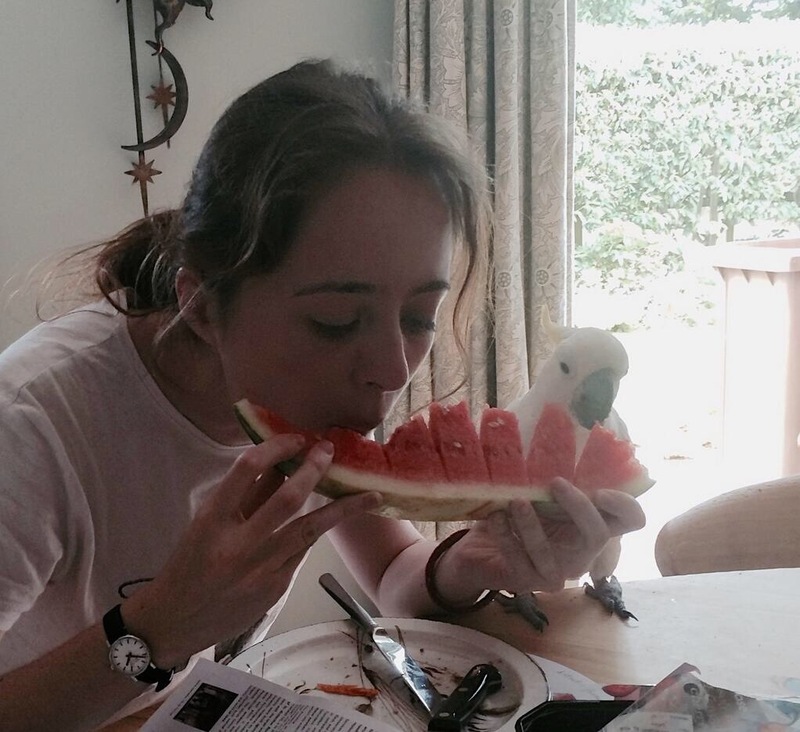 Living with parrots again – involves sharing your food..
Hammersmith Terrace is a pretty, quiet street of handsome Georgian properties. It’s so pretty and so quiet, you’d imagine that behind each and every glossy front door there was an oligarch not living there. Not so for number seven – or at least the last occupier was no oligarch, and won’t be returning, even for the occasional weekend. With this in mind, it’s odd how, when stepping inside the house, it seems particularly lived in, to the point of feeling as though you’re intruding into someone’s private home. The decor is harmonious but not obsessively matchy-matchy, it’s clean and tidy but trinkets and everyday objects lie on tables and mantlepieces, and on the walls, photos and pictures seem like old neighbours, leaning against their frames as they exchange gossip. As you might have guessed, Seven Hammersmith Terrace is a museum, albeit an unusual, little-known one. 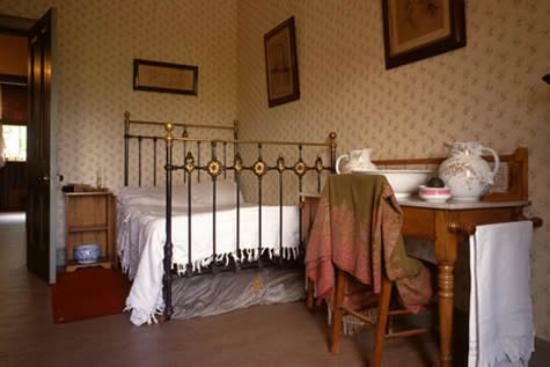 Formerly owned by Emery Walker (1851 – 1933), printmaker and friend of William Morris (1834 – 1896), its Arts & Crafts decor and contents were passed down to and preserved first by Walker’s daughter, Dorothy (1878 – 1933), then her friend Elizabeth de Haas (? – 1999), and finally the Emery Walker Trust, set up in 1999. In this museum, there are no teasels on chairs, and the only labels were written by the owners themselves, shrewdly aware of the future importance of the objects. Many are of little value and seem insignificant until combined with other objects or documents – such as the mended jug bought by Walker on holiday in Rome, and the photo capturing him in the act. Some introduced me to a side of the Arts & Crafts movement I’d never known before – for example, the patterned lino flooring in the front hallway printed by Morris & Co. Initially called ‘Kampticon’, lino was first manufactured in 1864 (not the 1940s as I’d assumed), eleven years before Morris designed his flooring. Despite his tendency towards the archaic and traditional, it shows that Morris was clearly interested in new materials too. 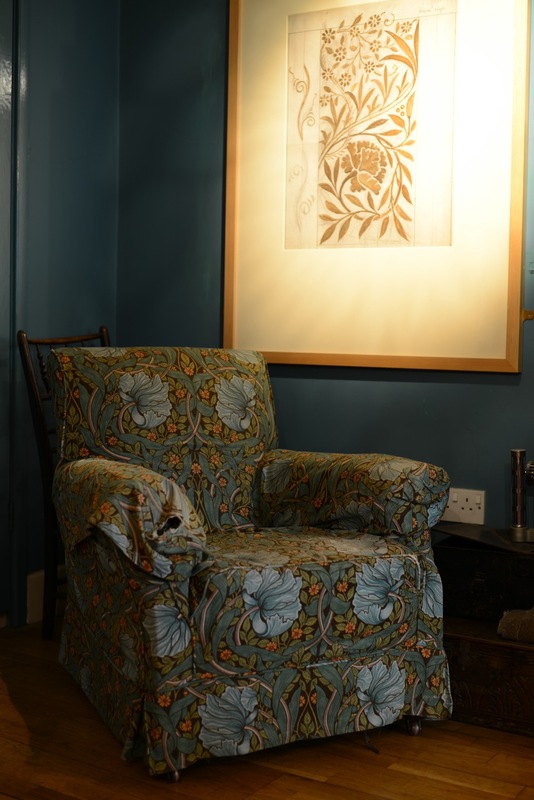 Others are even more precious and unique, such as the sturdy seventeenth century chair used by William Morris in his study down the road at Kelmscott House and passed on to Walker when he died, and the wool and camel hair bedspread embroidered by May Morris (1862 – 1938, William’s daughter) for Emery’s frail wife Mary Grace. On Mary Grace’s death in 1920, it was used as a shroud to cover her coffin, then in 1933 it was used to cover Emery’s. Thirty years after that, it was used for Dorothy’s, then 36 years on for Elizabeth de Haas in 1999. In the life of this one object, much of the history of the house and its owners is encompassed. If it hadn’t been saved from the flames of the crematorium in time, an important Arts & Crafts object and piece of history would be lost forever. If separated from the house and the rest of its contents, the full value and meaning of both would be lost. The same goes for the entire house and its contents, described by John Betjeman as “a kingdom that can never be created again”. I highly recommend visiting at least once. 7 Hammersmith Terrace is viewable by appointment only, Saturdays (and some Sundays) from April to October. Bookings can be made via their website, £10 full price and some concessions available. 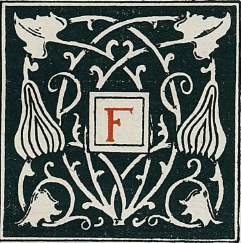 For a better look at Morris’s lino, there’s a piece on the V&A’s collections website here. Photos with kind permission from the Emery Walker Trust. Our lino cuts at the William Morris Society came out so well I’ve been using them to print tea towels to sell in the gift shop. The fabric is medium-weight Belarusian linen, bought on one of my trips to Donetsk. 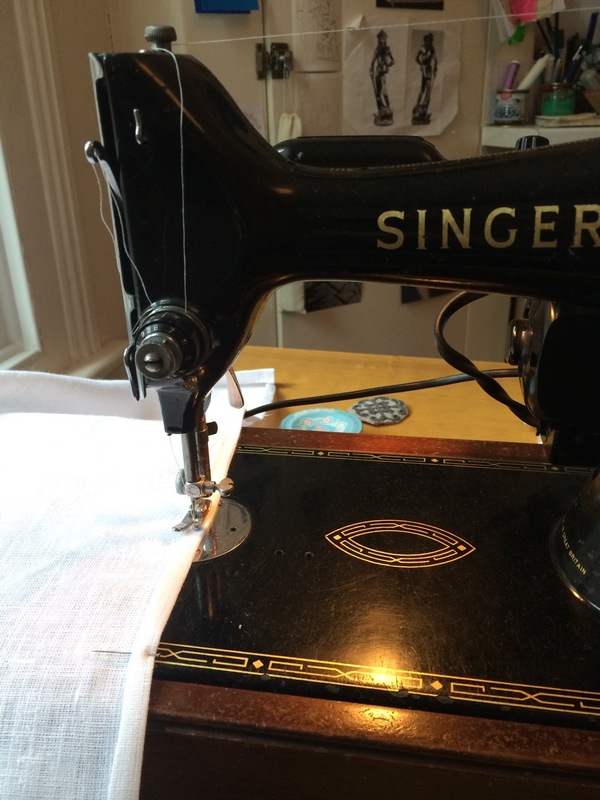 I stitched the tea towels on my trusty 1956 Singer machine, printed, ironed, washed and ironed them again to make sure the colour stayed fast. Here are the first four so far, two of which sold on day one! The array of handmade delights on offer at Cockpit Arts Open Studios left me too befuddled and incoherent with awe to mumble anything more profound than the odd “mmm, lovely” or “that’s really nice”. I occasionally remembered to take pictures inbetween drooling over crafts (actually, I did see someone literally drool on Katharine Morling’s work), so here are a few of my many, many favourites. Click on the images for a direct link to the artist’s page. BeatWoven. These woven patterns are based on pieces of music (see the sound waves?). 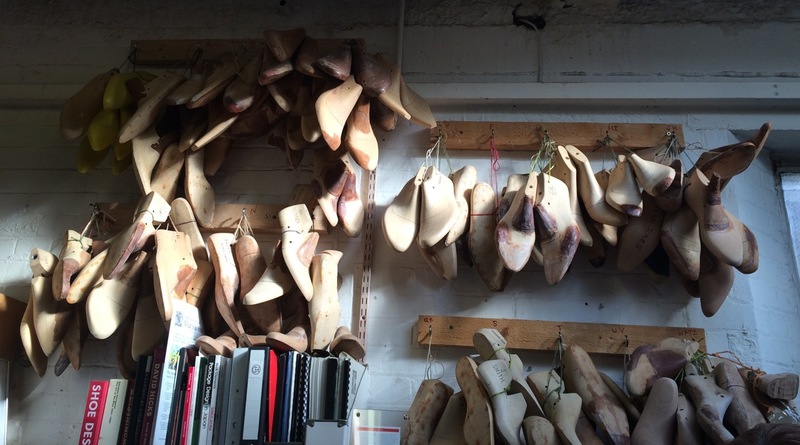 Carréducker llp handmade bespoke leather shoes. Sophie Manners, who kindly gave us a little weaving lesson on her Harris loom. I’m really looking forward to Cockpit Arts Open Studios this weekend. 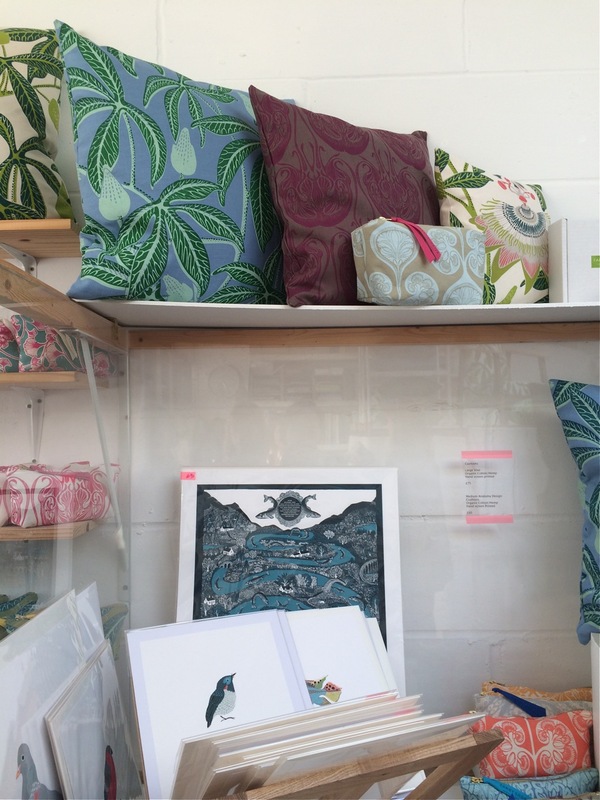 Their 2012 (somehow I missed last year) evening in Deptford was AMAZING – we got to amble into studios and work spaces, ogle at looms and printing presses and paints, then ask the makers nosy questions. There was also some tasty food to be had, oh, and lots of beautiful handcrafted things to buy. As you might expect from a place full of talented and creative individuals who share a love for the beautiful and useful, the atmosphere of the studios is pretty wonderful too. The Holborn studios are open this weekend, then Deptford next weekend. See you at both! As you can probably tell, lino printing has become a bit of an obsession lately. 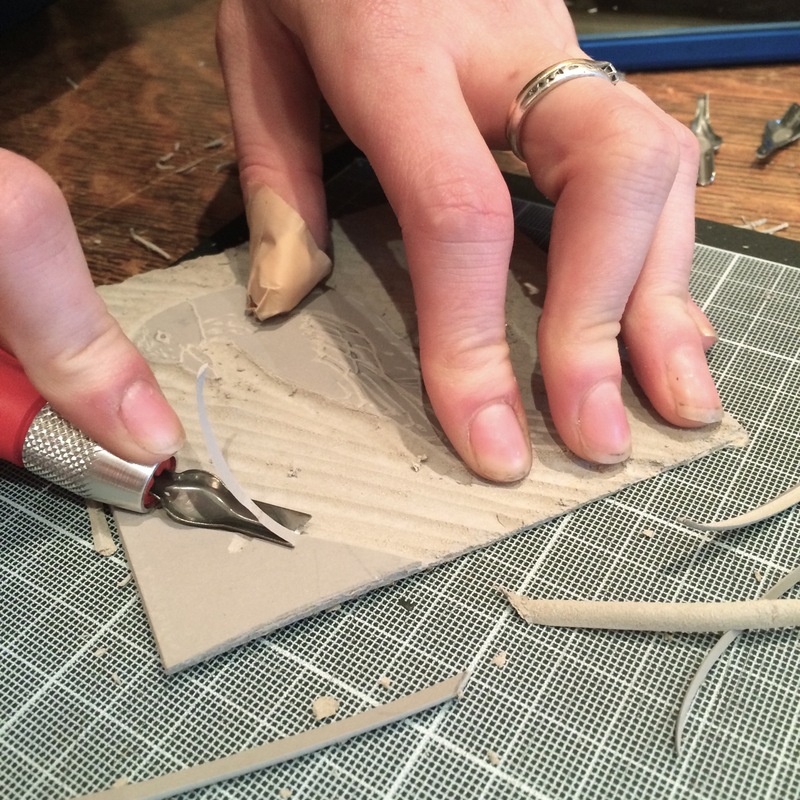 I’ve been making lino cuts both at home and at the William Morris Society in Hammersmith with my friend Alice, assistant curator there. We’re making linos based on motifs in Morris designs from the Society’s collection, to use in printing workshops for school groups. Our linos are mainly based on two of Morris’s lesser-known designs, Bird from 1878, and Grafton from 1883. I had the privilege of taking a good look (and some bad photos) of the two original designs, both housed in the Society’s collection. Bird and Grafton were both made well into Morris’s career as a wallpaper and textile designer. You can see this in his precise and confident drawing of Bird, which contrasts with the rubbings out and alterations apparent in his first wallpaper design, Trellis, of 1864, for which he employed the help of his friend Philip Webb. Bird is a symmetrical design, so Morris only needed to colour in half of it, giving us an insight into his working process and drawing style. Grafton is an unusual Morris design, being the only one resembling a stencil design. Most of Morris’ designs are much more complex, employing interwoven elements and many more colours. His most complex wallpaper and textile designs could need over twenty woodblocks (one for each colour) to print. Perhaps I’ll try a more ambitious two-colour (not twenty-colour) design next, but for now, we’re quite happy with the results of our first… …and second lino cutting sessions. Photos of Grafton and Bird by kind permission of the William Morris Society. 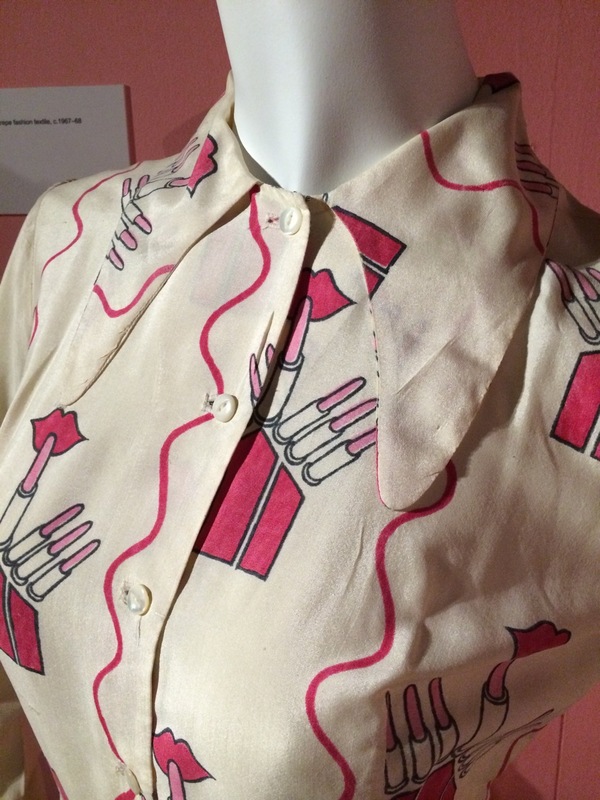 The Fashion and Textile Museum’s current exhibition looks at “20th century art in textiles and fashion from Cubism and Surrealism to Pop Art”, as the tagline puts it. The many pieces on show are predominantly printed textiles designed by figures better known for their paintings, drawings or sculptures. 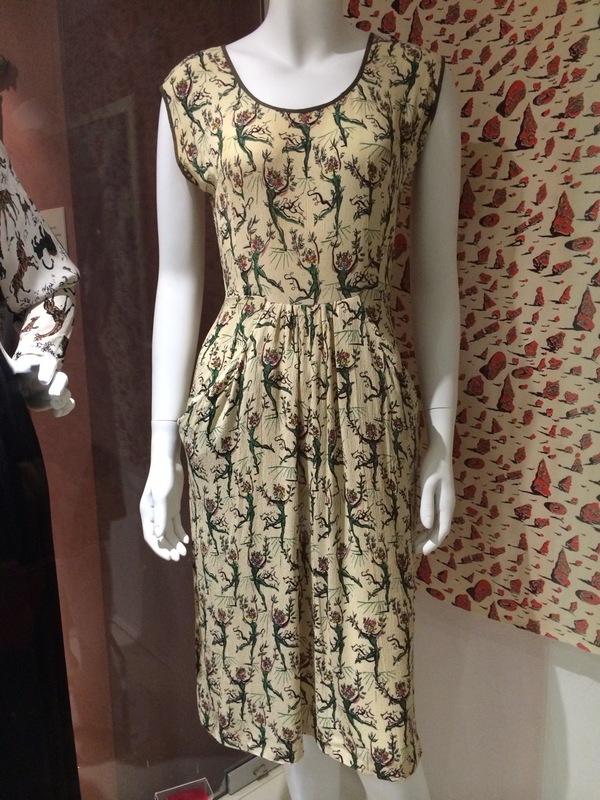 I particularly loved Dali’s ‘Flower Ballet’ design, which shows a Daphne-esque half-ballerina, half-bouquet pirouetting on a stage, and Picasso’s ‘Musical Faun’ daringly printed onto velvet corduroy and made up into rather enviable ‘Hostess Cocktail Culottes’. 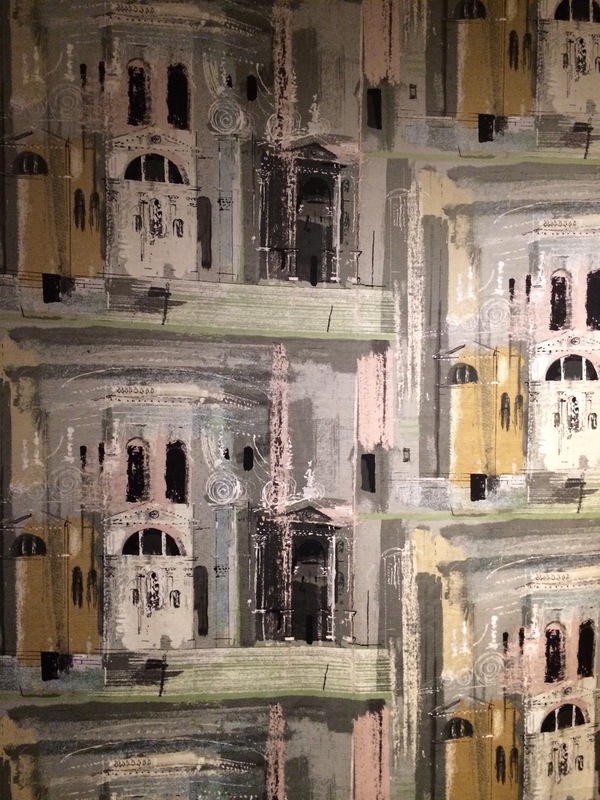 A few designs diverge from the artist’s usual style, but most, such as John Piper’s ‘Chiesa de la Salute’ could be a repeat copy of a canvas painting. This seeming lack of imagination or adaptation is unsurprising, since making a dress or some curtains out of a print by Picasso (which actually looked like it was made by Picasso) was a cheaper, more widely accessible alternative to actually owning a unique Picasso artwork. 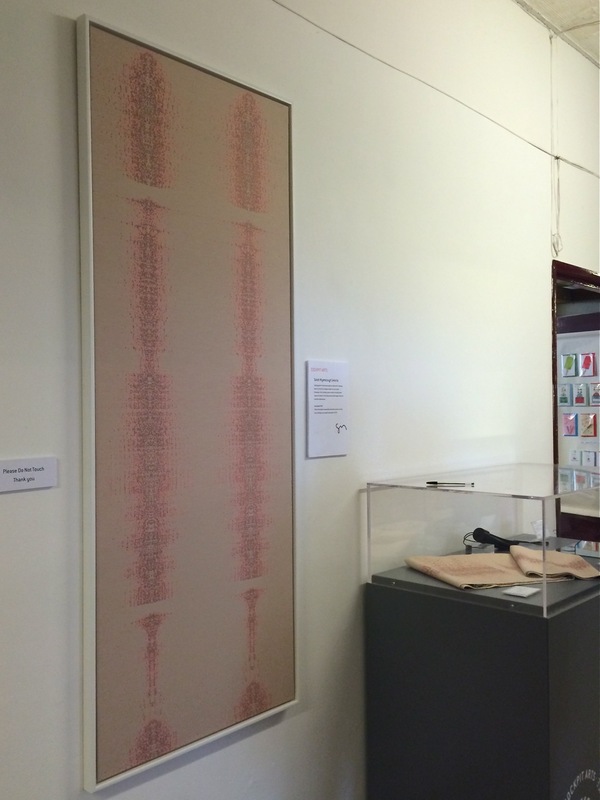 Artist-textile company collaborations allowed the masses to buy a piece of modern art for a pound a metre. 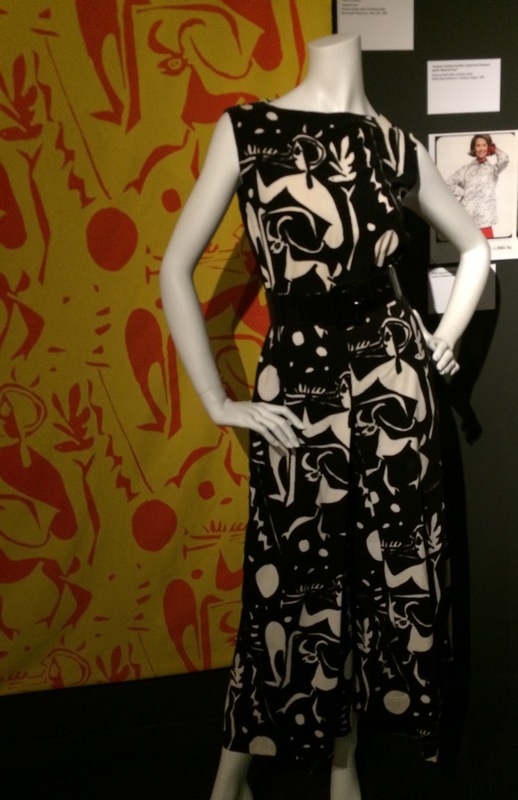 Why does a textile print not count as ‘A Picasso’ or ‘A Dali’? Yes, the initial drawing is the only bit actually in contact with the artist’s hand, after which printers take over, but this is also true of etchings sold for millions. The distinction seems to lie in the near limitless production of a textile compared to one-off paintings or artists prints, which are restricted to an edition of, say, ten, to ensure the high price that comes with exclusivity. It’s also down to the puzzlingly prolonged distinction between ‘greater’ and ‘lesser’ art forms, with textiles and their usually anonymous makers consigned, for now, to the latter. Mass production and repetition are themes that played a key role in Andy Warhol’s work. His very sweet ‘Happy Bug Day’ design interestingly predates his first silk-screen artwork by several years. 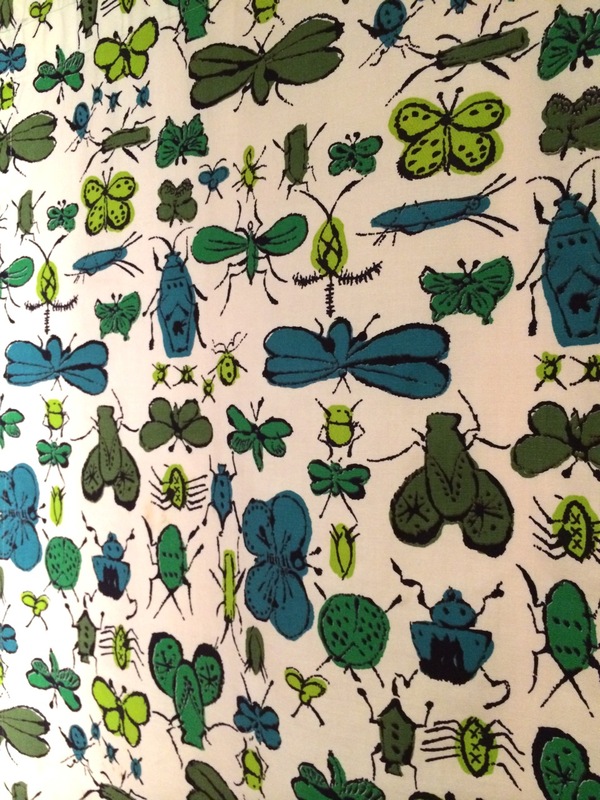 Andy Warhol, ‘Happy Bug Day’, screen-printed cotton fashion textile, mid-1950s. With this exhibition, the big (male) names and movements of the Western art world inevitably take over. The curators have used them to both structure the exhibition, with section titles such as “The 1960s: Pioneers of Pop”, and no doubt to attract an audience outside of the FTM’s usual fanbase. However, they have also paid tribute to lesser-known groups such as the Edinburgh weavers and Hammer Prints Ltd, whose intention to “anonymously encompass all aspects of interior design” reminds me of the ‘no-brand’ ethos of Japanese company Muji. Although too many exhibitions now seem to be put together like books or essays, with visitors plodding through a beginning, middle and end in that order and only that order, I think it’s important for curators to wrap up with a summary or ‘take home message’. This show fizzles out rather disappointingly, leaving us wondering where the final section is. 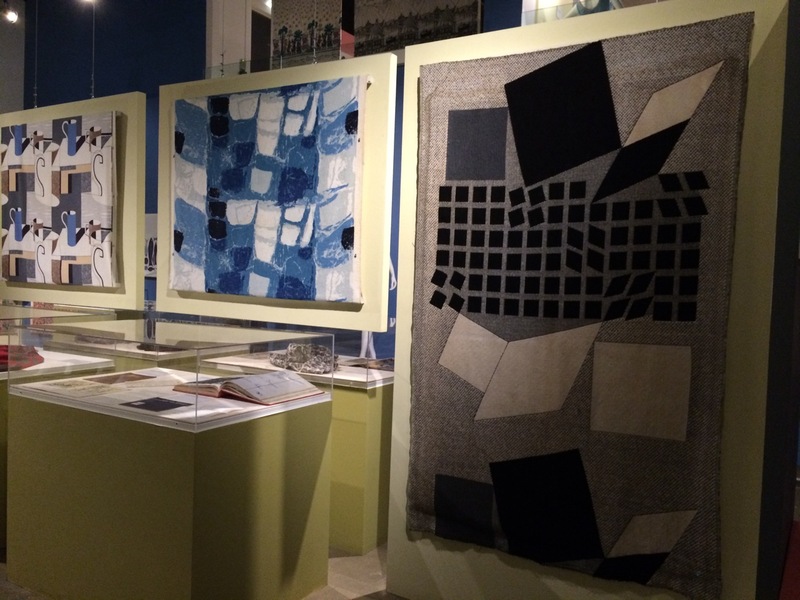 What happened to artist textiles after the 1960s? What about the rest of the world, outside of Britain and America? What are today’s equivalent artist-fashion company collaborations? Although the show succeeds as a comprehensive look at artist textiles specifically in Britain and the States from the 30s to 60s, it lacks the context and points of comparison that would allow us to see these designs in the bigger picture. It also misses out on a good opportunity to discuss issues in the textile and fashion industry; for example, the decline of textiles sold for home sewing as cheap, off-the-peg clothing took over. ROM Piccadily Circus to the foot of Hammersmith Bridge is just an hour – if one catches the bus with the right flag. The Upper Mall is hard-bye, though not easy to find, if one loses his head in the maze. “You turn right at Bridge Court, pass Mall Road, cross over the foot bridge, and pass the house where Thomson wrote the ‘Seasons,’ next the Dove’s Inn, and there you are, you see.” All of which sounds easy enough, if one can identify these landmarks when one sees them. The streets are little more than alleys, the bridge one could almost carry under one’s arm, Thomson’s house falls beneath one’s notice, and The Dove’s will just hold a barmaid and a barrel of “bitter.” No sign marks the Kelmscott Press, the objective point, but after stumbling into two or three door-ways, the right one is finally reached, and here.. ..I should explain that this is an 1896 account of a visit to Kelmscott Press, now a museum which I had the pleasure of visiting last week. Morris lived and worked at Kelmscott House from 1878 until his death in 1896. Here he was busy designing furnishings (which he is most well known for today), as well as writing poetry, translating Icelandic sagas, printing books and pamphlets and holding Socialist meetings. Morris was known for working on several different projects at the same time, and once said ‘If a chap can’t compose an epic poem while he’s weaving tapestry, he had better shut up; he’ll never do any good at all.’ After his death, his daughter, May Morris and others continued Morris’ legacy, and in 1955 the society was set up. Despite its modest size, the museum pays fitting tribute to Morris by representing the sheer range of his activities. The coach house, where he first experimented with tapestry-making and hosted Socialist talks, now holds a changing exhibition display, and, fittingly, talks and educational activities. In what was once a kitchen, there is now a display of furniture, textiles, stained glass, drawings, pamphlets, books and a Socialist banner. In another room stands Morris’ original printing press, which he used to self-publish books and pamphlets at extremely high quality (and cost). The press is still in working order, with hand printed cards in the gift shop to prove it! On one wall of the gift shop hang an impressive embroidery piece by William’s daughter, May Morris, alongside her full scale sketched design. As this and other surviving examples of her handiwork show, May was a talented designer and embroiderer herself, as well as an editor and activist. Today, the society is run by a small number of dedicated staff, volunteers and trustees. Opening hours: Thursday and Saturday afternoons from 14.00 to 17.00 and at other times by appointment. Opening text from ‘A Visit to William Morris’, by W. Irving Way, Modern Art, Vol. 4, No. 3 (Summer, 1896), pp. 78-81. Hello! After (another) long break from posting anything, I’ve found the will to blog again. Apart from reminding myself that I started a blog in the first place to prove that there’s no lichen growing in my fur I’ve realised that there are a few important (to me) and maybe interesting (to you?) things to share from last year, before even contemplating what’s going down in 2014. So here’s one of them: a knitting commission. Last summer I was very excited to be approached by an animation company to knit a piece for a Sudafed advert. They wanted to repeat the handmade stop-motion animation style of their previous ad, which very delightfully used a green ball of wool to represent some mucus in a knitted cross-section of a head, grey french-knitted brains and all. So, I was commissioned to knit the piece below, a much larger-than-life packet of “mucus relief day and night capsules” in 4ply intarsia. Yes, some adverts really are made like this!